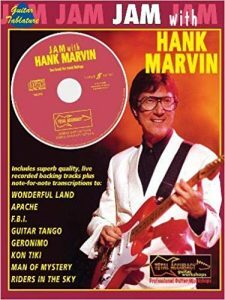 Hank Marvin performed at “The Basement” Sydney Australia in April 2015 and he is going to perform there again in November 2015. Below is a review published by the Sydney Morning Herald after the first concert in April. 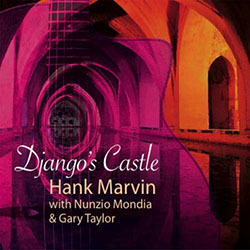 Hank Marvin and Django Reinhardt have something in common. 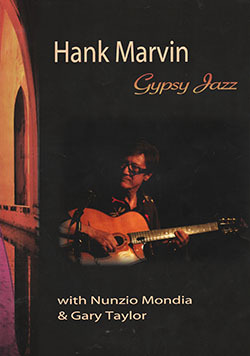 Just as Reinhardt was the first non-American to be a true jazz innovator with his Gypsy swing, Marvin (with the Shadows) was the first non-American guitar hero in rock’s early days, becoming a role model for the likes of George Harrison, Eric Clapton and Jeff Beck. Now Marvin, a Perth resident for three decades, has reinvented himself as a Reinhardt disciple. That, in itself, is unremarkable. In the last 20 years Reinhardt has become the most aped guitarist in history, with entire festivals dedicated to his legacy. But where countless players lose their own identity in worshipping at Django’s altar, Marvin’s musical personality is too strong for that to happen. He largely eschews the lightning-fast runs that have become synonymous with the idiom, instead concentrating on lyricism, melodic relevance, tone and note shape. 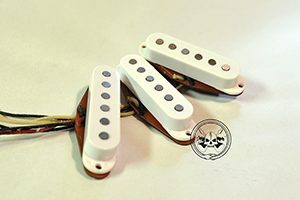 Of course the famous Stratocaster has been jettisoned for a Django-style acoustic, most of the repertoire was by or associated with Reinhardt and the groove has changed to swing, but within all that Marvin extracted a highly distinctive sound: much brighter than Reinhardt’s, almost like a resonator guitar. The band sound was distinctive, too, thanks to Nunzio Mondia’s virtuoso accordion playing. Although accordions have become common in Gypsy swing circles, Mondia loaded the music with flighty atmospherics and modernist abstractions as well as working within the swinging and lyrical vernacular. Driving the band were Gary Taylor’s rhythm guitar and bassist Robbie Pisano’s bass, and Marvin, Mondia and Taylor have arrived at striking arrangements full of watertight unisons and sneaky syncopations. Perhaps inevitably they shoehorned some Shadows songs into the idiom, with Guitar Tango working especially well. Marvin played a glorious solo on Django’s Castle, each note seeming to glisten, until it was more like a dream unfolding than a song. Collectively they may not reach the high art of Reinhardt but I prefer their marriage of whimsy and slickness to the hordes of straight copyists.